The Enterprise GIS team created a Crime Viewer, which displays all crime statistics for the current week to the media and citizens. To keep pace with its enterprise vision, Pinellas County, Florida, created a GIS governance committee to guide county GIS projects—in particular, web map and app creation with Esri commercial off-the-shelf (COTS) software. With help from Esri professional support staff, the county upgraded its public GIS website and created an ArcGIS Open Data site to serve the needs of county residents as well as its municipalities. Since 2006, Pinellas County’s eight-person GIS staff has tirelessly provided application development, data analysis, and cartography services to all county departments. As a result, practically every department manager understands the benefits of GIS and has vouched for it as a tool that promotes efficiency. Impressed by that consensus, the county chose executives from various constitutional offices around the county to form the Pinellas County Enterprise GIS Steering Committee to prioritize and potentially fund projects. Concurrently, the county assembled the Enterprise GIS Working Group, a team of GIS practitioners that would actualize the projects and applications ordered by the committee. At the recommendation of Esri Professional Services, the county used ArcGIS Online so specialized web maps and apps could be built quickly. Within months, the county built a professional collection of GIS viewers using ArcGIS Online preconfigured resources—specifically, templates that easily display county data. For example, tapping the county’s aerial imagery database, they made a web map for land managers who needed to assess land change and compare older imagery with newer datasets. When county and city police departments requested a web map that displayed crime statistics for media and citizens to access, the Enterprise GIS team created a Crime Viewer. 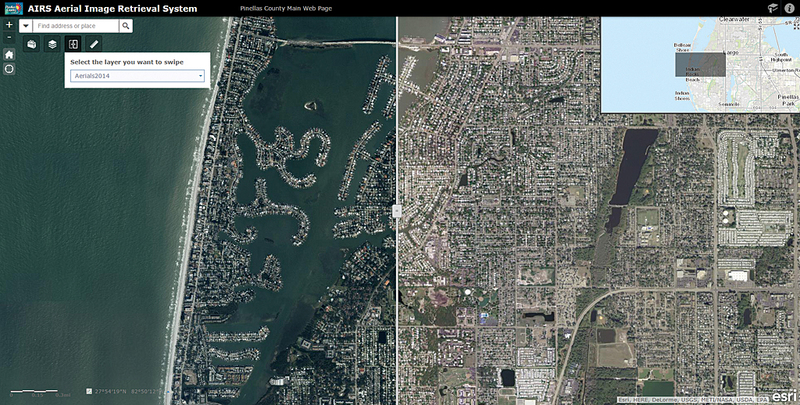 The swipe feature in Pinellas County's Aerial Image Retrieval System juxtaposes any two imagery datasets such as the imagery from 2014 and 2004 shown here. Within weeks, the group created and published on the Pinellas County website an impressive collection of viewers that provide access to information on topics ranging from manatee sightings to construction projects. All this work didn’t happen overnight. Pinellas County needed a plan to replace its legacy Autodesk MapGuide viewers so it could maintain a sustainable web presence. Pinellas used its credits for the Esri Enterprise Advantage Program (EEAP) to implement recommended best practices. The group also asked EEAP staff to conduct security vulnerability, scalability, and testing workshops for departments migrating to ArcGIS Online. 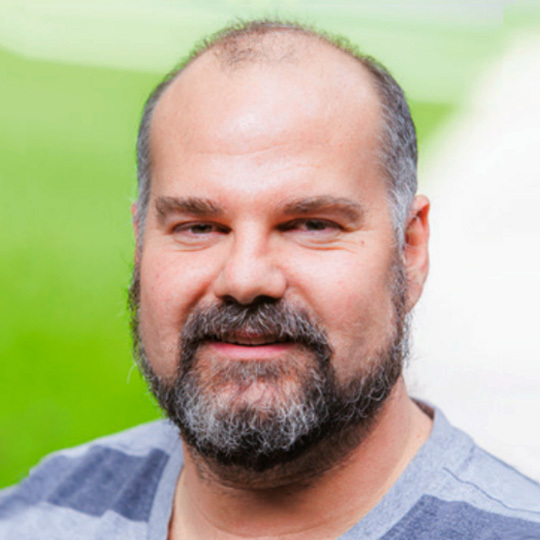 “Using EEAP takes all the guesswork out of how we should configure our infrastructure,” said Zumwalt. This allowed the county’s staff to focus its efforts on delivering business applications and serving the end users. “It’s nice to have high-caliber personnel from Esri make sure that we’re following the best practices that will continue to make our program successful,” Zumwalt observed. Other cities and towns in Pinellas County have become members of the county’s ArcGIS Online subscription. This allows them to create their own maps. To help those municipalities more rapidly create web maps and apps, the county worked with data stewards from internal county departments to create an Open Data Portal and publish the county’s internally managed datasets for use by other municipalities. In just weeks, Pinellas made 117 of its layers publicly available in a portal created in ArcGIS for Server. For example, the City of Oldsmar has fewer than 14,000 people and just 66 parcels. It has used ArcGIS Online to create damage assessment maps after storm strikes. For Oldsmar and other cities that need to perform damage assessment, the Enterprise GIS Working Group configured Collector for ArcGIS with specific fields for gathering data on various kinds of storm damage. 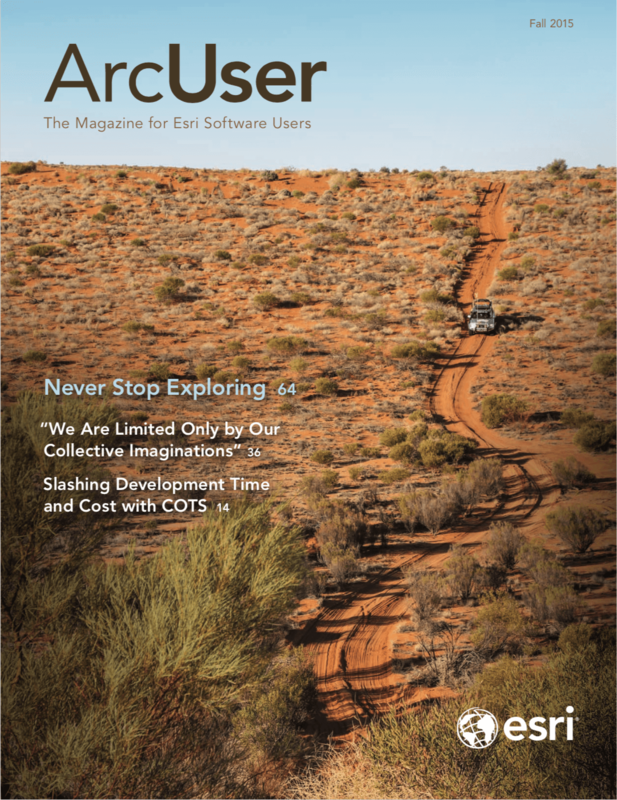 This data collection app for iOS and Android platforms is available on the Esri Solutions site. 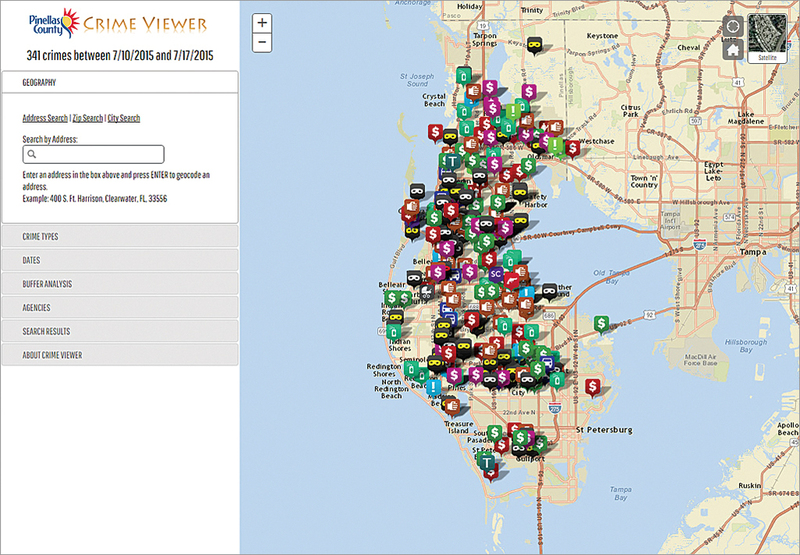 Now many municipalities within Pinellas County continually populate the portal with data, thus making it a robust mapping resource. Pinellas County used several ArcGIS for Local Government solutions to inventory department-specific assets and organize this information for future maintenance management needs. For instance, its transportation group now uses the Sign Inventory solution to inventory all county street signage. The Urban Forestry group has similarly begun using the Street Tree Inventory solution to collect data on all of Pinellas County’s managed trees.